I can't resist a book with a horse on the cover, so I couldn't wait to read this! 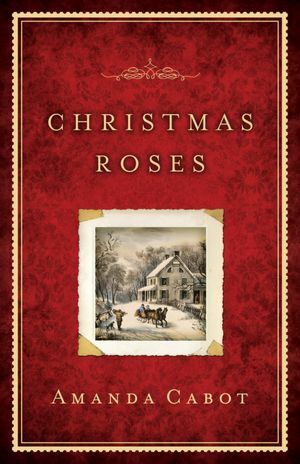 The book is a really sweet Christmas story, told from an eight year old's point of view. She sees the world through such innocent eyes, you can't help but like her story. 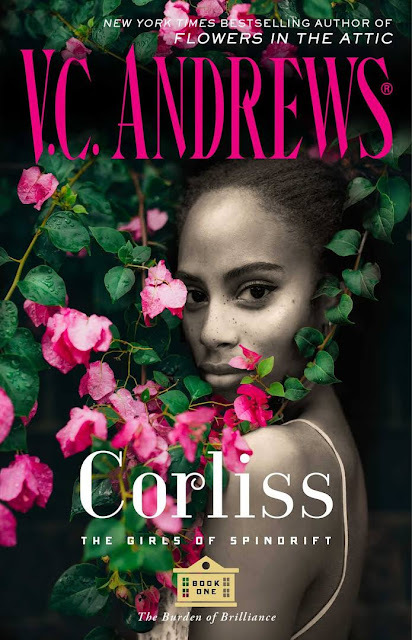 The book is a shorter novella, so it can be read without the stress of a 400 page book during the holiday season, which is great. The story was a bit different than I thought it would be. When I read the description, I thought that it might be on the sad side, but it wasn't. Lucy and her mother's boarding house had a really nice feel about it, even as they struggled financially during the Great Depression. 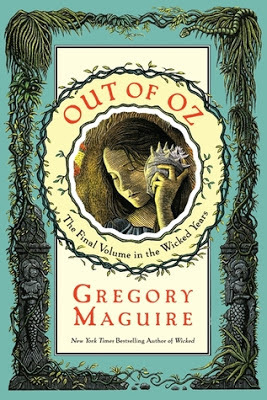 I can see this book being made into a sweet holiday tv movie. I do think that the characters of George, and especially Mama, could be fleshed out a little more. George was just such a sweet heart, but I would have liked to have known more about him. Veronica was the perfect nemesis, and I really appreciated that even though Lucy admired her glamour so much at first, she was smart enough to catch on to her true nature quickly. Bottom Line: A light, sweet holiday read. "The Sweet Life: The Serial"
Three years after the events of Sweet Valley Confidential by Francine Pascal, Elizabeth and Jessica Wakefield are back in Sweet Valley and inseparable once more. Things are looking up for both twins: Elizabeth is a star reporter at the LA Tribune, and Jessica’s PR career is on the fast-track. But while the professional lives of the Wakefield sisters are secure, their personal lives may be in jeopardy. 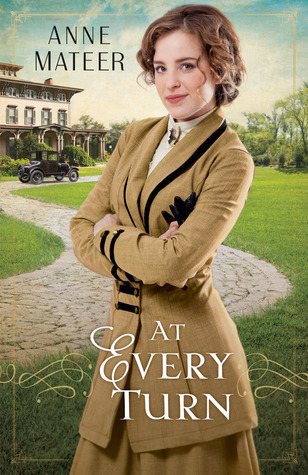 Jessica, now a mother, finds that managing parenthood, marriage, and a job is harder than she expected, while Elizabeth and Bruce must face a scandal that could strengthen their bond…or tear them apart forever. The Sweet Life, first published serially as digital originals chronicling the continuing adventures of Elizabeth and Jessica Wakefield, is now available to read in one volume! The book follows all of our old favorites from the Sweet Valley High series, some haven't changed at all, like Liza, and some are on a new path, like Jessica and Todd. My favorite story was Elizabeth and Bruce's scandal. This is the story that really kept me turning the pages. You'll have to read it to see what happens to the pair! Liza was her typical self, actually, she may have grown even more dramatic and deceitful in her 30s. Still at least she was interesting. 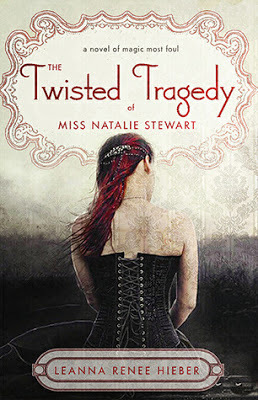 Jessica seemed neither her impulsive teen self, or a new and improved version either. She was slightly blah and so was Todd. Jessica was never my favorite to read about, and the same applies here, but luckily, there are so many story lines that there are bound to be those that the reader is more interested in than others. I'm glad I was able to read all six episodes at once. It would have been so hard to wait to find out what happens after the cliffhanger endings! There was very little repeating of information at the beginning of each 'episode.' It really wasn't noticeable at all, the author would just go over one or two key details, and then jump right into the rest of the story. Bottom Line: Our old favorites from Sweet Valley with a twist! Pick up the e-serials or the print version here. Check out my review of the first book, Sweet Valley Confidential. Giveaway and Review: "Dog Trots Globe"
As part of the "Dog Trots Globe" blog tour, I have my review of the book as well as a contest for a lucky reader to win their own copy! "Dog Trots Globe: To Paris and Provence"
In this fun read — Chula, a 9-year-old Sheltie, shares her dog’s eye view of France. 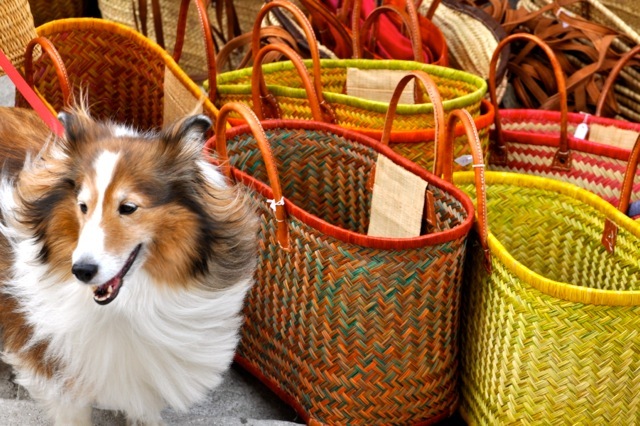 She sniffs around the boulangeries, lavender fields, and big outdoor markets of Provence. In Paris, she trots across the Seine, stands on her hind legs in awe of the Eiffel Tower, and attends opening night at a gallery. 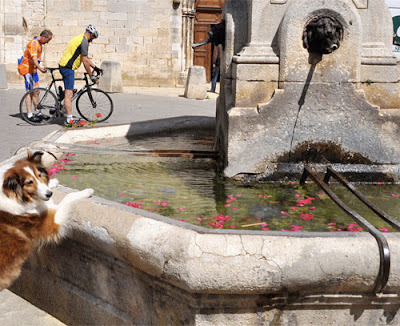 Through more than 150 color photographs, four videos, and Chula’s unique perspective, you’ll get a delightful view of Paris and Provence. 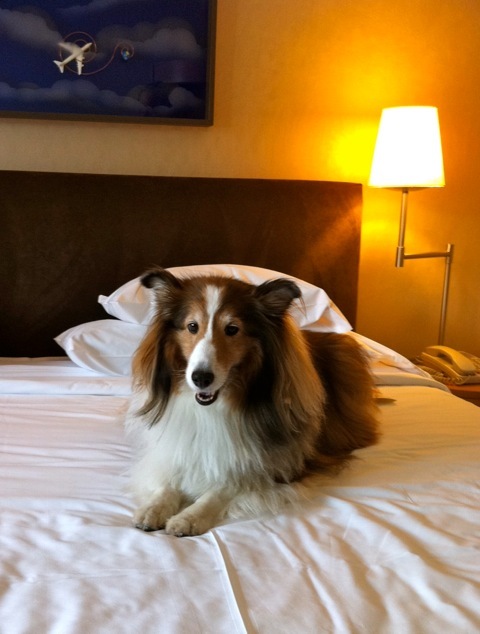 In this adorable book, Chula, a Sheltie, recounts her experiences in Provence and Paris, France. There are beautiful photos of Chula and the sights that she comes across on her adventures. We even get to see the flight from her point of view. There are also adorable illustrations of Chula's world, in which she is the queen of course! The print version of the book is such high quality, that it makes reading a pleasure. It's a hardback with full color photos and illustrations on every page. The pages are semi glossy and the substantial paper is a rare treat in books these days. It's the perfect book to curl up with a cup of tea and spend an hour or so reading. The story doesn't have super deep or philosophical moments, it's just a sweet, relaxing read. I do like the over all message of stopping to smell the roses though! 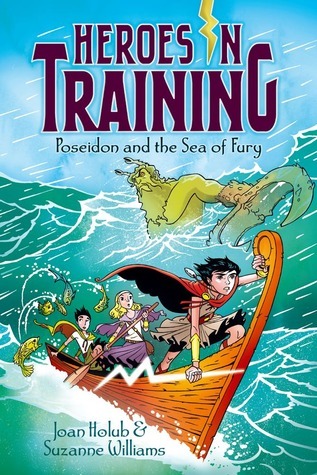 This book is written for adults, but I do think kids would enjoy it too. I think maybe it's something you could read together. Just a small warning, on the first page, there are a couple of mentions of a word similar to 'darn' :) Personally, I would have left those words out just to make the book 100% family friendly, since the rest of the book is suitable for all ages, and I think kids would really enjoy it. 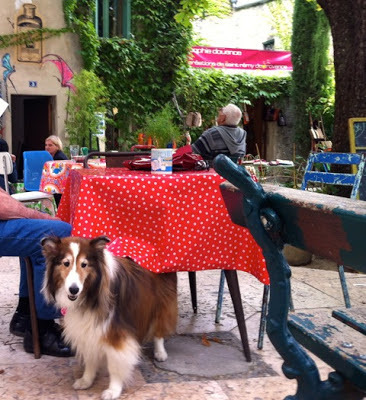 Bottom Line: A high quality book with plenty of photos and illustrations, with a fun, relaxing dog's eye view of Paris and Provence. 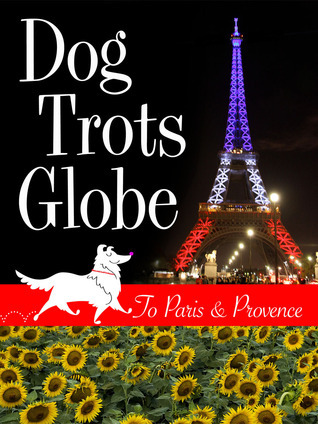 This would be a wonderful gift for dog lovers and readers who love France. Here are a few examples of the fantastic photos you will find inside the book! All photos are used with permission, copyright c Sheron Long. Catch up with Chula on Facebook and for contests and free ebooks! 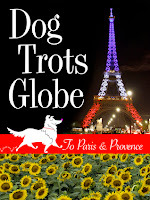 The publicist has generously provided a print copy of "Dog Trots Globe" for a lucky follower of my blog! 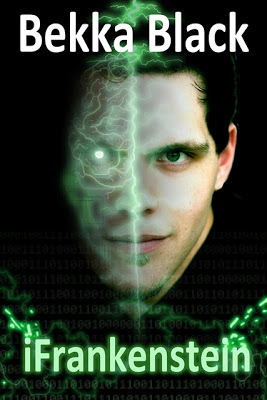 As part of the blog tour for iFrankenstein, I have a preview of the first chapter and a digital copy of the book for a lucky reader of my blog. Frankenstein comes to life for the wired generation. Following her critically-acclaimed iDrakula, award-winning author Bekka Black breathes life into a modern re-telling of iFrankenstein, using only text messages, web browsers, tweets, and emails. Here is a peek at the first chapter so you can really see how different this book is! The publicist has generously provided an e-copy of "iFrankenstein" for a lucky follower of my blog! 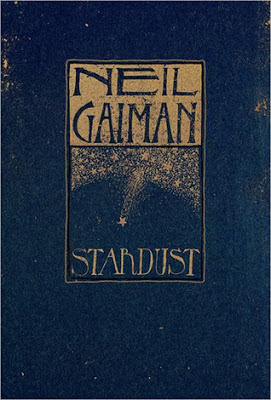 A beautiful new hardcover gift edition. 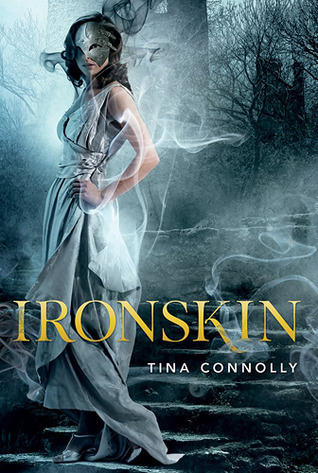 Download the first book in the Iron Fey series, along with one of the novellas and an excerpt of the newest book, here! They are PDF downloads. 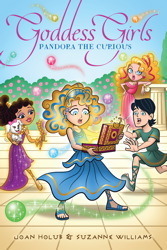 I saw a great review of this one at Juju's Tales of Whimsy! If you like this cover as much as I do, you may also want to check out the wallpapers on the author's website here! As part of the blog tour for "A Royal Pain" by Megan Mulry, I have a guest post from the author! 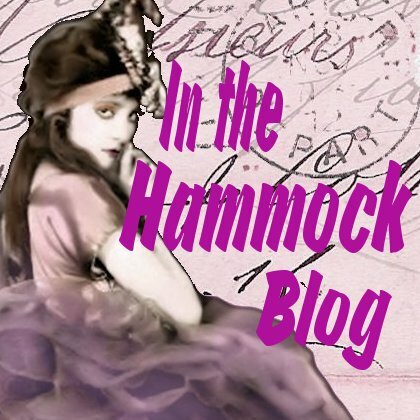 I'd like to welcome Megan to In the Hammock and thank her for taking time to stop by and write about the topic I was curious about! 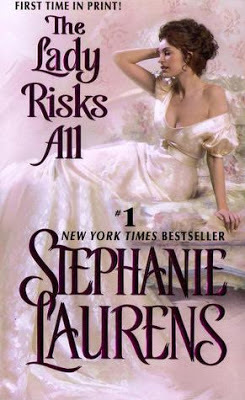 Question from In the Hammock: What draws you in about royalty and made you want to write a book with royal characters? Is it something you've always been interested in? Thanks so much for having me In The Hammock. This question makes me laugh because when I first wrote A Royal Pain, the duke wasn't even royal! At the time I came up with the idea for the book, I was more interested in the notion of The Ideal Man. In my mind that pretty much means one man: Fitzwilliam Darcy. Full Stop. So I knew my modern version had to be British. I also wanted him to be intellectually brilliant (but modest), fabulously wealthy (but modest), and (duh) blindingly handsome—he's not always modest about that, but you can't have everything. I was (and remain) pretty much obsessed with Regency romances, so I knew he would also be titled and that his heritage, family, etc. would be a big part of the conflict in their relationship. 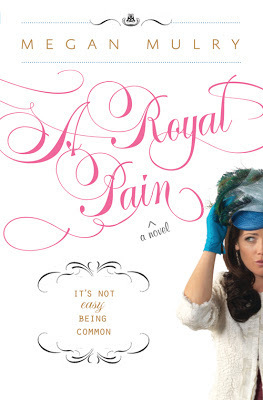 Anyway, it's the same book (British-Aristocrat-Meets-Saucy-American) but that word "royal" kind of haunts me a bit. Here's why. 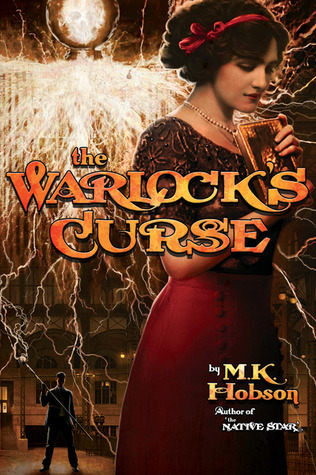 When the book was acquired by Sourcebooks editor Deb Werksman, she had A Vision. She actually said those words on The Call, that she had A Vision. I was the usual freaking-out-happy-about-getting-The-Call new author, and then Deb was on about The Vision, so I tried to ride out the crushing waves of excitement. When someone likes your manuscript it's exciting enough; when they are having visions about it? Just. Yeah. Anyway, Deb dubbed the series of books "The Unruly Royals" during that conversation and I was like, "YAY! How clever!" Then I was like, "Uh. But he's not royal…" And she was like, "Just make him royal!" And I cheerfully replied, "Okay!" As Americans (or just as me!) I'd always lumped together the words aristocracy, royalty, peerage, upper crust, The Ton, etc. They were all stewed together in a pot of people-who-are-up-there-versus-the-rest-of-us-who-are-down-here. All of a sudden I started doing research and it turned out this word 'royal' means something very specific and distinct, especially to British readers. Adding to my anxiety was that people who care about this sort of thing, REALLY care about it. There are very particular forms of address. Bloodlines. Hereditary and non-hereditary titles. It is seriously complex. Before I started the additional "royal research", I'd say I was the type of person who understood the entail on Downton Abbey. Steep learning curve alert! After consulting with several British friends and people who are far more knowledgeable about these sorts of things than I am, I realized it was not going to be a quick matter of adding a sentence about oh-by-the-way-he's-royal. In the event, I concocted a little-known younger sister of Edward VI (no need to point out that Colin Firth features prominently in the world of my imagination) and made her Max's grandmother. That way Max would be royal (from his grandmother's bloodline) AND a duke (from his father's hereditary title). When I told a friend, "Okay, so he's a royal duke!" I was gently chastised. She corrected me: "No. He's royal. And he's a duke. But he is not a royal duke. If he were a Royal Duke he would be Prince William!" Again, there are many people who know far more about this than I do. But I did what I set out to do and now Max is "legitimately" royal. That's the royal story within the book. My own personal fascination with royalty, on the other hand, is not quite as keen as Bronte's. Okay, yes, I got up at four in the morning and put on my 15-year-old wedding dress with six similarly attired friends to watch William and Kate tie the knot. But it was mostly to see the Cullinan diamonds on the Queen and the hats and dresses of everyone who attended. So I guess I do have a "thing" for royal watching, but I don't follow the royal comings and goings much more than the occasional cover of a magazine in the grocery check-out line or daily peeks at What Kate Wore. Personally, my fascination is much more about American Anglophilia on a broad scale. I love England. I love British culture. I love London. I love the mix of eloquence and snark in the language itself. There is a joyful tendency in the British people I know to take great pleasure in others' foibles without the requisite hand-wringing that many Americans find so necessary. Of course, these are sweeping generalizations, anecdotal and all that, but basically I love very old buildings, and drinking, and vast landscaped gardens, and fancy dress parties, and a jovial attitude toward human sexuality. And England often has much of that on offer. And coincidentally, so do many royals! 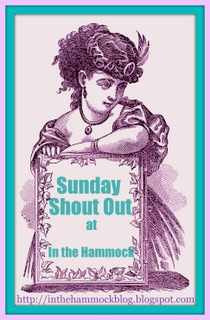 Thanks again for inviting me to your blog! Thank you, Megan!! What a wonderful post!